Are you passionate about engaging the next generation to learn about Adelaide Oval across a broad range of educative disciplines? We are looking for volunteers who have a rich appreciation for all things Adelaide Oval and the motivation to pass this on to children and young adults aged 5 to 20! As an Education Volunteer you will take part in Adelaide Oval's Education Program, which seeks to create unique learning experiences for school and tertiary ages students. Your task will be engaging with our student visitors to facilitate meaningful connections to the iconic Adelaide Oval. 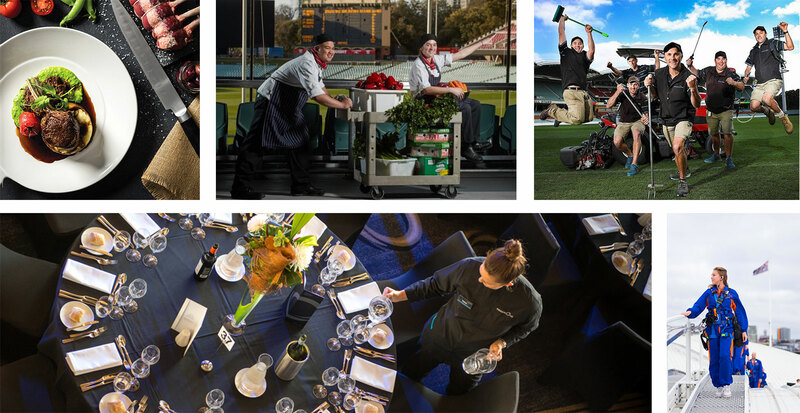 Current education initiatives supported by Adelaide Oval include educational tours and museum visits, learning enrichment workshops, interactive pursuits, speakers, leadership focused activities and School Holiday Programs. Our volunteers need to have engaging communication and leadership skills as well as an enthusiastic approach to assisting others learn. Actively assisting with a variety of educational undertakings within different contexts including roaming learning/ touring, interactive and classroom-based styles. Navigating a variety of content in order to appropriately facilitate meaningful educational delivery to student visitors. Working with the Education Team to assist with the facilitation of School Holiday initiatives. You will need to be able to stand for at approx. 3 hours and the ability to walk 3km over 90 minutes which includes the use of stairs, ramps, lifts, escalators. The minimum age to be eligible is 18. The commitment requested from our Education Volunteers is minimum of one shift per week which can range from 1.5 to 3 hours in duration. You will be required to obtain a DSCI ‘Working with Children’ clearance and undergo suitable ‘Responding to Abuse and Neglect’ (or equivalent) training. Previous experience in working with children in an education setting desirable, but not required. If you’re interested in becoming an Education Volunteer , please apply through our application form below. Please tell us about your previous volunteering experience. Your IP address (52.200.130.163) has been logged. 461 Hits.